Inky magenta, a gorgeous deep colour. 13.5% alc. 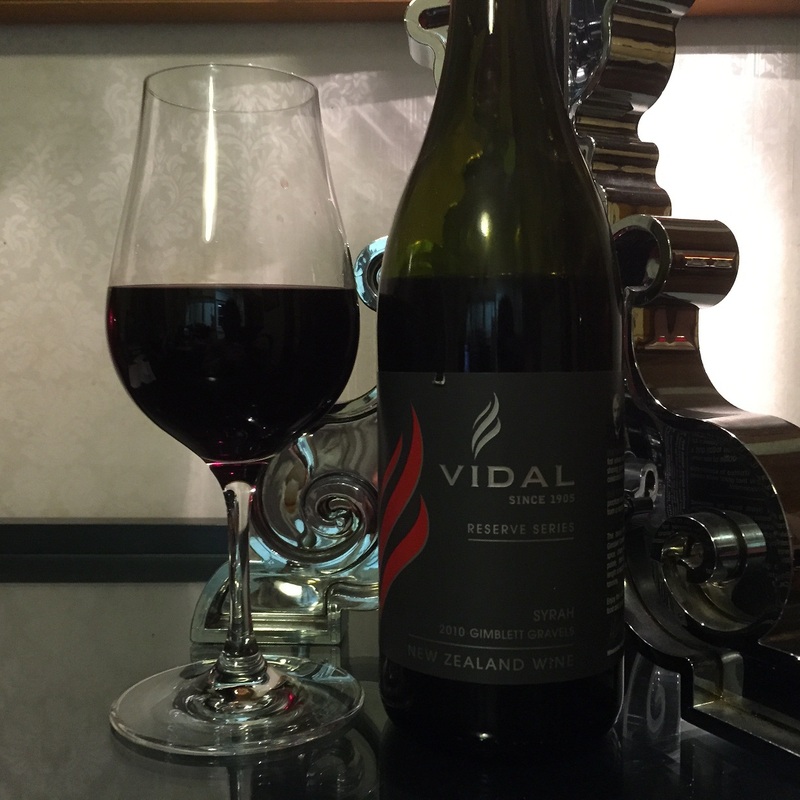 Lovely rich bouquet – boxwood, blackcurrants, leather, savoury. I could smell this all night. Smooth richness of the Merlot gives a silky feel in the mouth, the grippy tannins from the Malbec provides balance. Black stonefruits predominate, a hint of raspberry, drying on the finish. Delicious. A terrific, approachable wine for drinking now. A much-appreciated wedding gift wine. I drank it out of one of the new Eisch pinot wine glasses we were also given. 13.5%. Dark carmine, slightly cloudy. Closed, dumb nose. Some red cherries. Over time it became more piquant. 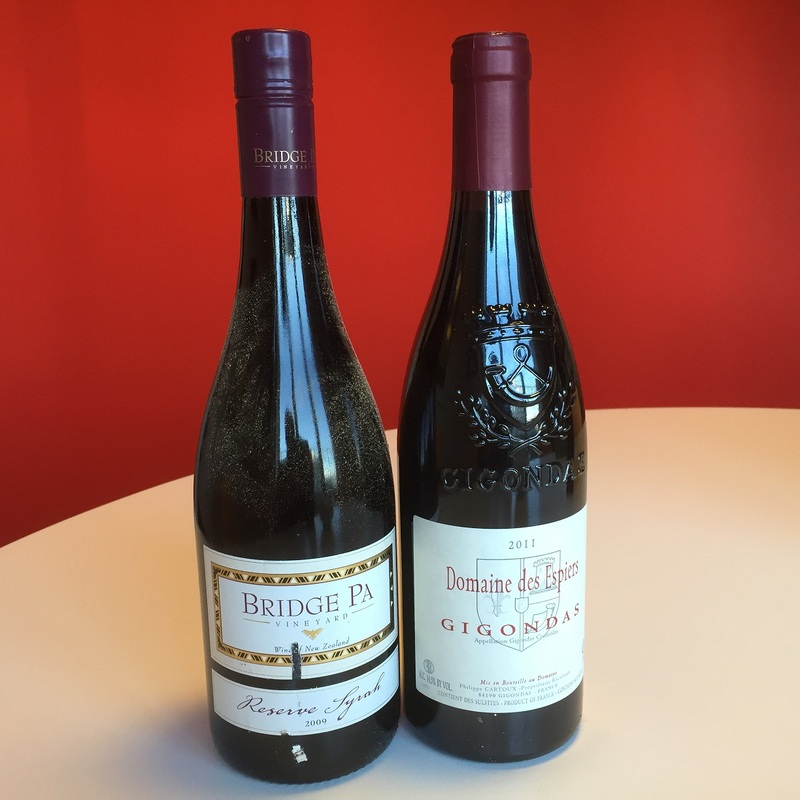 Good fruit weight, lots of mouth-filling flavours of soft ripe red fruits. Tannic mid-palate, spicy finish. Long and expansive. Great with dinner. 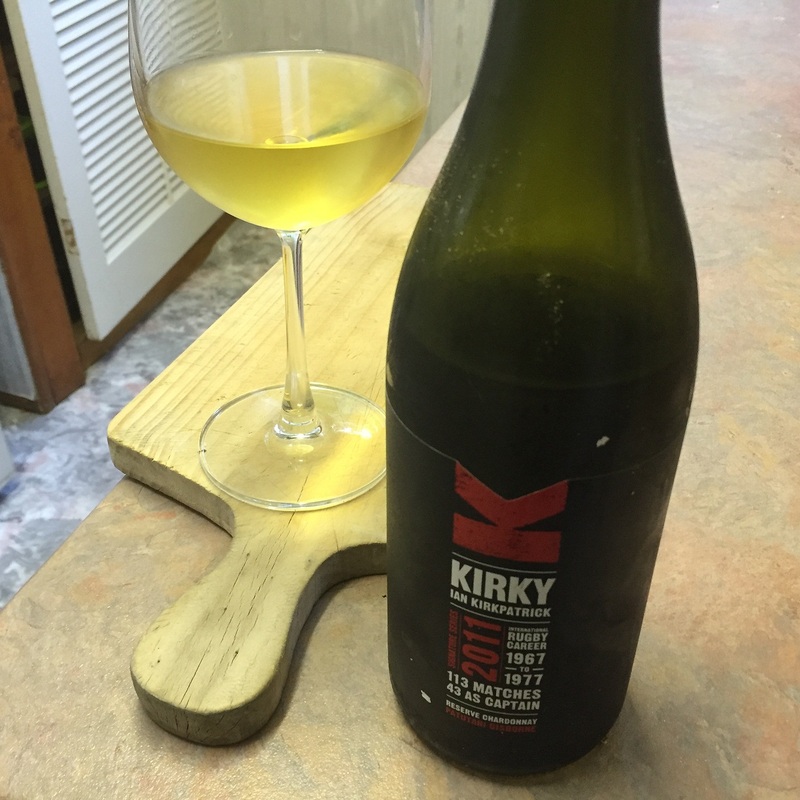 I bought this wine at the Gisborne Wine Centre in 2012, following a tasting of this and other Gizzy Chardys. Probably the last of the bottles collected on that visit. 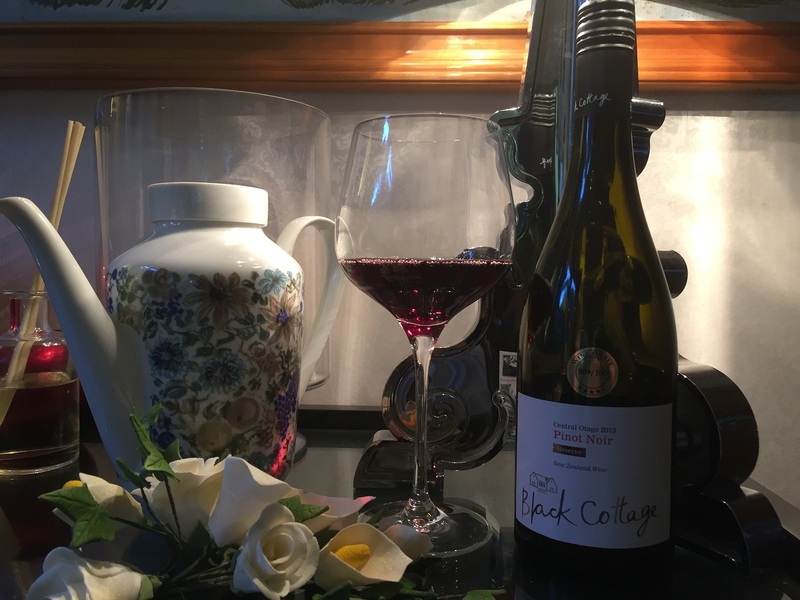 The backstory of this wine: Owner Simon Kirkpatrick said it was an opportune time to pay tribute to his famous uncle and All Black – Ian Kirkpatrick – and showcase some of the best wine Gisborne and the Patutahi Plateau has to offer. I am not 100% sure what vintage this is. Probably a 2011, but it also says 2010 on the back label. High-carat gold colour. 13.4% alc. Developed, tertiary aromas of butter and almonds. Strong wiff of phenols. Quite a big wine in the mouth too. Round and soft. Receding fruit – golden peaches and dried apricots. My cellaring has been poor and has done the wine a disservice. It oxidised and lost freshness and charm, and really fell apart in the glass the next day. A real shame as it had tasted great in ’12. Champion wine at the 2012 Speiglau Wine Competition. I bought this bottle for less than $20! Tertiary nose. Dense with vanilla and dried dark fruit. Powerful and impactful. Smells wonderful, despite being served a bit too cold from the cellar. Dense fruit flavours. Grippy. Hint of brown paper. Sweet on the mid-palate. Showing really ripe fruit. Rhone-like. Delicious. I love it when a plan comes together! L and I were invited to share a delicious rustic French meal at M & G’s house in the weekend. Cured meats, fine cheeses to start, then a hearty cassoulet. Yum! M shared a fantastic Châteauneuf-du-Pape, one of the other guests brought a nice Pinot Noir, and after starting the evening with a nice glass or two of M’s home-brew beer brewed at the Occasional Brewer, I was feeling no pain by the end of the evening. 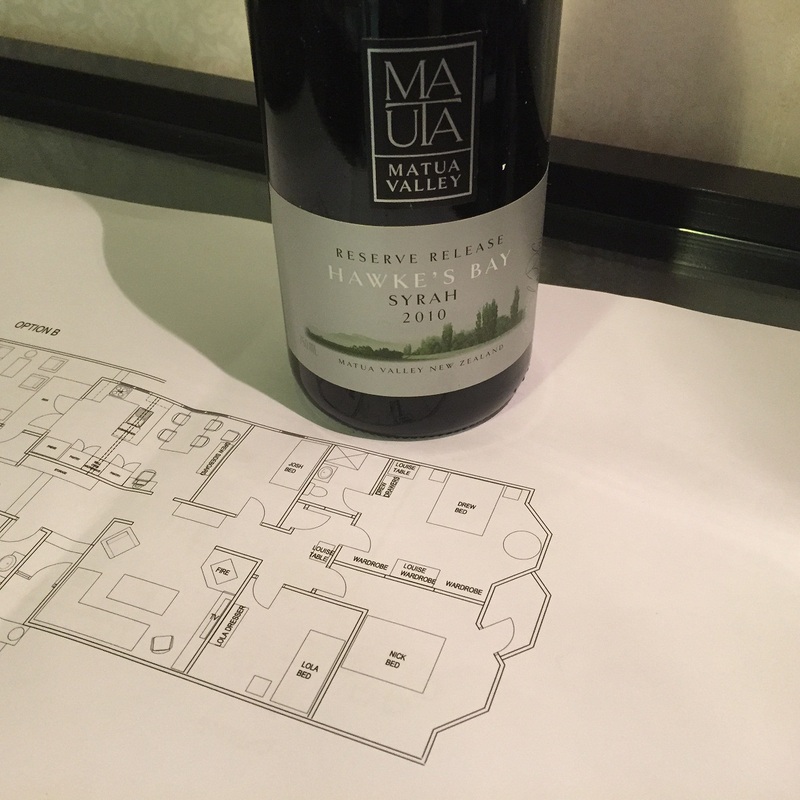 This wine is closely related to the Matua Matheson 2013 that swept all before it at the recent 2013 Hawkes Bay Syrah tasting I took part in. I bought a couple of bottles way-back-when, on the recommendations of the Great and Good, including Geoff Kelly. I drank one in 2013 and loved it, and thought to crack this to share with a good friend of L’s who came around for dinner. A good call. Inky black carmine. 14%. Soft dominant vanilla bouquet, all home baking and black fruits. Smelled amazing. Delicious flavours of black cherries, plums. Lovely spice note and fine white pepper. Quite sweet on the fore palate. Rich, dense. very very good. and cheap! I paid $18 for this.